Is the future of computing in the cloud? Increasingly, it appears headed in that direction – and for good reason. Cloud computing presents numerous cost, agility, and operational advantages that are undeniably compelling. In fact, in a vast majority of enterprise data centers, cloud-like architectures are quickly taking root. Companies are virtualizing their resources and partitioning some of their applications within their four walls. 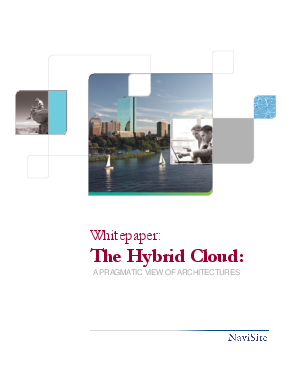 This whitepaper explores the hybrid cloud, the traditional approaches to cloud computing and why companies are not opting for 100% cloud architecture or 100% physical architecture. Download this whitepaper to understand the hybrid cloud and how this can impact your business.